[D]ying at home is a sadly-unfulfilled wish for many terminally-ill patients – but a team of nurses working in North Yorkshire are starting to change that. Chris Burn reports. Nurse Alex Blake has played an important role in a pioneering team of nurses working in North Yorkshire to help terminally-ill people and their loved ones prepare for death in their final months, weeks, days, hours and minutes. She says she now hopes the Gold Line service which has been operating from Airedale Hospital for the past three years can be introduced across the country. Across England, only one in five people die at home but around twice this number who use the service are able to pass away in their own house. The phone line, which is manned around the clock by senior nurses, provides advice and guidance to people in the last year of their life and their loved ones to help with physical problems, as well as the inevitable emotional toll that comes with the prospect of impending death. The medical advice the team are able to provide also helps to take the pressure off local NHS services, with one-third of calls solved without additional referrals to doctors or district nurses. However, the service is currently only available in Airedale, Wharfedale, Craven and Bradford. While similar support is offered in Scarborough and Ryedale for carers of people undergoing community-based palliative care, other areas of the county do not have such a system in place. A recent North Yorkshire County Council review of end-of-life care suggested learning from the way Gold Line operates should be an area of development for the rest of the region. Alex says: “I believe everyone should be able to choose where and how they die and nurses at Gold Line are pivotal in making that happen. The service needs to be rolled out nationally so that everyone has equal choice at end of life. Alex moved from a role in critical care to be part of the Gold Line team when it was founded three years ago. 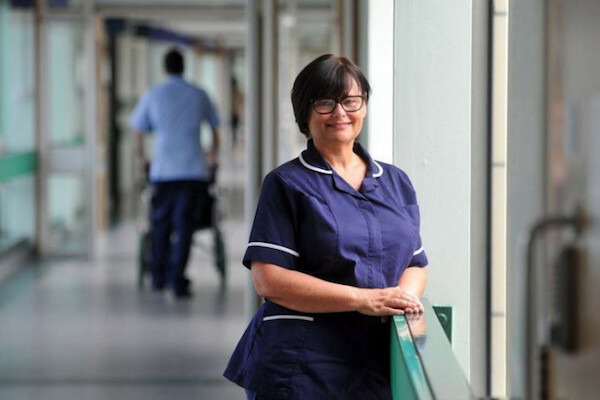 She has recently moved to a slightly different role within the telemedicine service at the Airedale Foundation NHS Trust focusing on end-of-life support in care homes but remains a passionate supporter of the work of Gold Line. 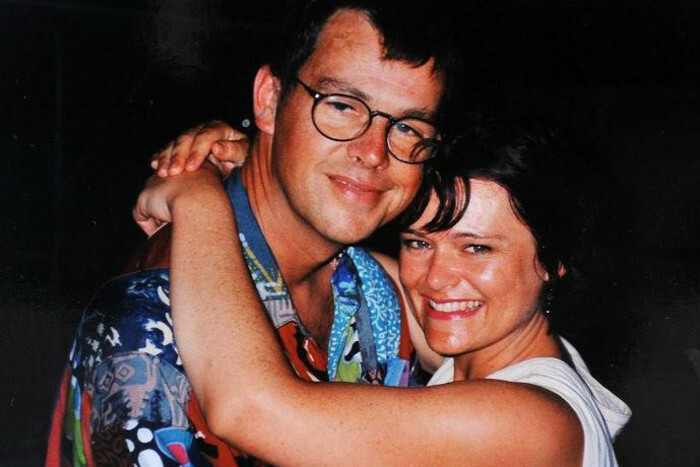 She says she has always had an interest in end-of-life care but tragically found out personally how the system operates when her husband Iain, a doctor who suffered with diabetes, died from renal failure at the age of just 49. She says that experience has given her a greater ability to connect with those going through the experience of terminal illness affecting a loved one but adds that all those who work on the Gold Line team instinctively know the importance of empathy. “Without a shadow of a doubt, I have got huge empathy and understanding of people’s fears and anxieties about death and the grief that come as someone approaches the end of their life. You have to have the right amount of empathy to do this job because it is not easy to have the conversations we are having. “You do get more calls during the night when people are frightened, can’t sleep and are more worried. You have very emotional conversations with people who can be crying or angry. We speak to the patients wherever we possibly can but it tends to be the relatives we are supporting. They are the people who are helping that person to die. We might take anything up to 20 calls per day. You do receive very distressing calls when people have just died and their relatives are distraught. “A huge part of the job is explaining what is actually happening; if someone’s chest is rattly and they are breathing differently you have to explain this is the process. There is a huge stigma about death in western culture. There are a lot of myths like people needing fluids when more fluids actually make things worse. Helen Livingstone, palliative care consultant at the Airedale NHS Foundation Trust, says when the service was started local GPs were encouraged to talk to people whose health issues meant it was likely they were approaching the final year of their life and explain this support system was available. She says the service is particularly aimed at those who are unlikely to need specialist care such as hospices but still need support in the last months of their lives. Helen says Gold Line is a “really key part” of the local services involving GPs and district nurses which allow a far greater proportion of patients than the national average to die at home. Stephen Lock, of Ben Rydding, near Ilkley, says the Gold Line service helped his wife Bea, who died from cancer, fulfil her final wishes to die at home. He has participated in a moving video to promote the work of Gold Line in which he explained how the team had helped make the best of a devastating situation. “Whenever I rang day or night, they knew exactly who we were, knew all about Bea and didn’t seem to need to look it up on any kind of database. The night before Bea died, I could tell things were very, very different and I rang them and just said I have never seen anybody die, can you tell me what is going to happen? I didn’t want it to be a shock for me, I wanted to know what was going to come so that what she would see wouldn’t be panic. Gold Line works with nearly 1,200 people in their last year of life, with nurses answering more than 500 calls a month. Before Gold Line, if a person nearing end of life was experiencing symptoms, they would have called a doctor or an ambulance, and often would have been admitted to hospital. Gold Line’s introduction has seen significant numbers of people avoid attending accident and emergency, having to be admitted to hospital and calling out their GP or community nursing team. In 2014/15, only 13 per cent of people registered with Gold Line died in hospital – nationally this figure was 58 per cent. Airedale NHS Foundation Trust won a £420,000 bid from the Health Foundation charity to start the scheme and is now funded by Clinical Commissioning Groups. 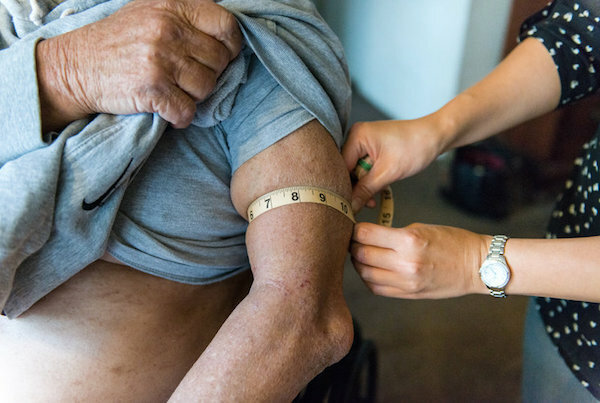 At Gerald Chinchar’s home in San Diego, Calif., Nurse Sheri Juan (right) checks his arm for edema that might be a sign that his congestive heart failure is getting worse. [G]erald Chinchar, a Navy veteran who loves TV Westerns, isn’t quite at the end of his life, but the end is probably not far away. 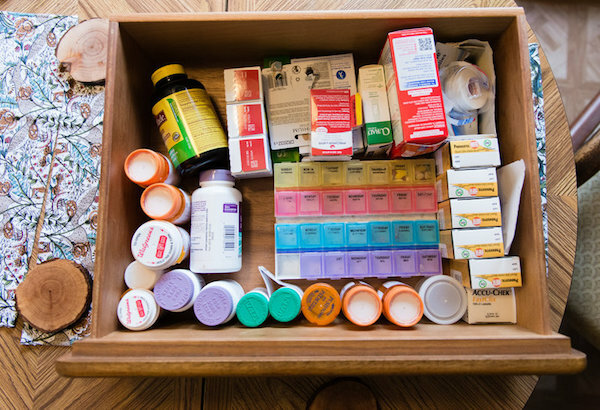 The 77-year-old’s medications fill a dresser drawer, and congestive heart failure puts him at high risk of emergency room visits and long hospital stays. He fell twice last year, shattering his hip and femur, and now gets around his San Diego home in a wheelchair. Above all, Chinchar hopes to avoid another long stint in the hospital. He still likes to go watch his grandchildren’s sporting events and play blackjack at the casino. Social workers and nurses from Sharp regularly visit patients in their homes to explain what they can expect in their final years, help them make end-of-life plans and teach them how to better manage their diseases. Physicians track their health and scrap unnecessary medications. Unlike hospice care, patients in this program don’t need to have a prognosis of six months or less to live, and they can continue getting treatment that is aimed at curing their illnesses, not just treating symptoms. Before the Transitions program started, the only option for many patients in a health crisis was to call 911 and be rushed to the emergency room. 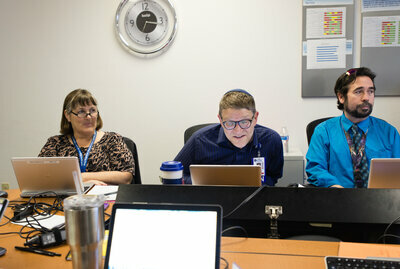 Now, they can get round-the-clock access to nurses, one phone call away. The importance of programs like Transitions is likely to grow in coming years as 10,000 baby boomers — many with multiple chronic diseases — turn 65 every day. Transitions was among the first of its kind, but several such programs, formally known as home-based palliative care, have since opened around the country. They are part of a broader push to improve people’s health and reduce spending through better coordination of care and more treatment outside hospital walls. But a huge barrier stands in the way of pre-hospice programs: There is no clear way to pay for them. Health providers typically get paid for office visits and procedures, and hospitals still get reimbursed for patients in their beds. The services provided by home-based palliative care don’t fit that model. In recent years, however, pressure has mounted to continue moving away from traditional payment systems. The Affordable Care Act has established new rules and pilot programs that reward the quality of care, rather than the quantity. 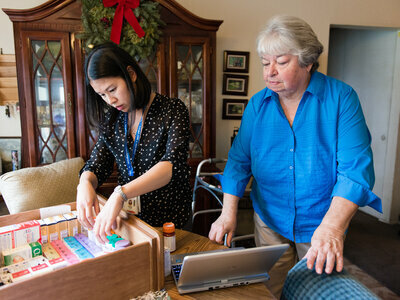 Those changes are helping to make home-based palliative care a more viable option. In San Diego, Sharp’s palliative care program has a strong incentive to reduce the cost of caring for its patients, who are all in Medicare managed care. The nonprofit health organization receives a fixed amount of money per member each month, so it can pocket what it doesn’t spend on hospital stays and other costly medical interventions. Palliative care focuses on relieving patients’ stress, pain and other symptoms as their health declines, and it helps them maintain their quality of life. It’s for people with serious illnesses, such as cancer, dementia and heart failure. The idea is for patients to get palliative care and then move into hospice care, but they don’t always make that transition. The 2014 report “Dying in America,” by the Institute of Medicine, recommended that all people with serious advanced illness have access to palliative care. Many hospitals now have palliative care programs, delivered by teams of social workers, chaplains, doctors and nurses, for patients who aren’t yet ready for hospice. 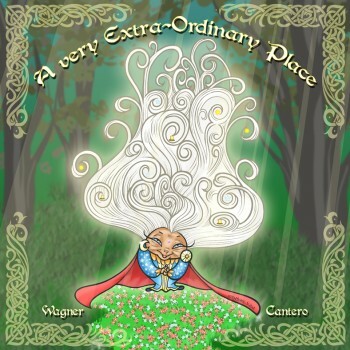 But until recently, few such efforts had opened beyond the confines of hospitals. One of the studies, published in 2007, found that 36 percent of people receiving palliative care at home were hospitalized in their final months, compared with 59 percent of those getting standard care. The overall cost of care for those who participated in the program was a third less than for those who didn’t. But Enguidanos knew that Kaiser Permanente was unlike most health organizations. It was responsible for both insuring and treating its patients, so it had a clear financial motivation to improve care and control costs. Enguidanos said she talked to medical providers around the nation about this type of palliative care, but the concept didn’t take off at the time. Providers kept asking the same question: How do you pay for it without charging patients or insurers? Doctors, nurses and social workers meet bimonthly to discuss patient cases for the Sharp HealthCare Transitions program in San Diego. When his patients were hospitalized, many would decline quickly. Even if their immediate symptoms were treated successfully, they would sometimes leave the hospital less able to take care of themselves. They would get infections or suffer from delirium. Some would fall. Hoefer’s colleague, Suzi Johnson, a nurse and administrator in Sharp’s hospice program, saw the opposite side of the equation. Patients admitted into hospice care would make surprising turnarounds once they stopped going to the hospital and started getting medical and social support at home, instead. Some lived longer than doctors had expected. In 2005, the pair hatched a bold idea: What if they could design a home-based program for patients before they were eligible for hospice? Thus, Transitions was born. They modeled their new program in part on the Kaiser experiment, then set out to persuade doctors, medical directors and financial officers to try it. But they met resistance from physicians and hospital administrators who were used to getting paid for seeing patients. Nevertheless, Hogan referred some of his dementia patients to the program and quickly realized that the extra support for them and their families meant fewer panicked calls and emergency room trips. Hoefer said doctors started realizing home-based care made sense for these patients — many of whom were too frail to get to a doctor’s office regularly. “At this point in the patient’s life, we should be bringing health care to the patient, not the other way around,” he said. 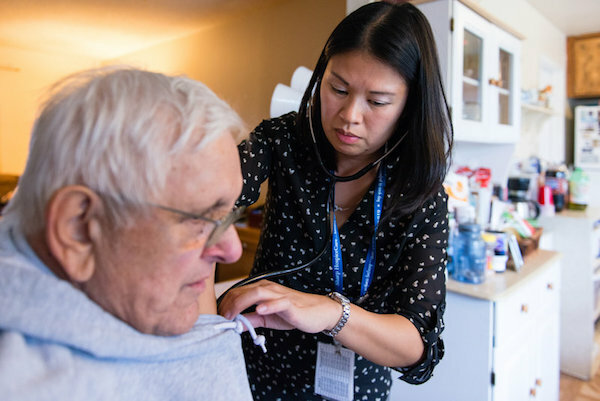 Across the country, more doctors, hospitals and insurers are starting to see the value of home-based palliative care, said Kathleen Kerr, a health care consultant who researches palliative care. Nurse Sheri Juan and social worker Mike Velasco, take health care to the Chinchars. Providers are motivated in part by a growing body of research. Two studies of Transitions in 2013 and 2016 reaffirmed that such programs save money. The second study, led by outside evaluators, showed it saved more than $4,200 per month on cancer patients and nearly $3,500 on those with heart failure. The biggest differences occurred in the final two months of life, said one of the researchers, Brian Cassel, who is palliative care research director at the Virginia Commonwealth University School of Medicine in Richmond. 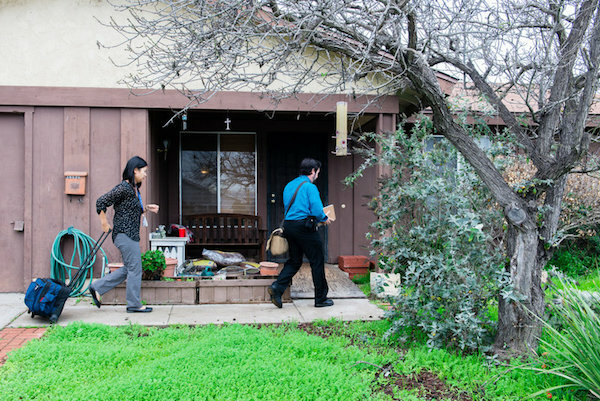 Nurse Sheri Juan and social worker Mike Velasco, who both work for Sharp, walked up a wooden ramp to the Chinchars’ front door one recent January morning. Juan rolled a small suitcase behind her containing a blood pressure cuff, a stethoscope, books, a laptop computer and a printer. Late last year, Gerald Chinchar’s doctor recommended he enroll in Transitions, explaining that his health was in a “tenuous position.” Chinchar has nine grandchildren and four great-grandchildren. He has had breathing problems much of his life, suffering from asthma and chronic obstructive pulmonary disease — ailments he partly attributes to the four decades he spent painting and sandblasting fuel tanks for work. Chinchar also recently learned he had heart failure. Now he’s trying to figure out how to keep it from getting worse: How much should he drink? What is he supposed to eat? That’s where Juan comes in. Her job is to make sure the Chinchars understand Gerald’s disease so he doesn’t have a flare-up that could send him to the emergency room. She sat beside the couple in their living room and asked a series of questions: Any pain today? How is your breathing? Juan checked his blood pressure and examined his feet and legs for signs of more swelling. She looked through his medications and told him which ones the doctor wanted him to stop taking. Outpatient palliative care programs are cropping up in various forms. Some new ones are run by insurers, others by health systems or hospice organizations. Others are for-profit, including Aspire Health, which was started by former senator Bill Frist in 2013. Sutter Health operates a project called Advanced Illness Management to help patients manage symptoms and medications and plan for the future. The University of Southern California and Blue Shield of California recently received a $5 million grant to provide and study outpatient care. “The climate has changed for palliative care,” said Enguidanos, the lead investigator on the USC-Blue Shield project. Ritchie said she expects even more home-based programs in the years to come. “My expectation is that much of what is being done in the hospital won’t need to be done in the hospital anymore and it can be done in people’s homes,” she said. Challenges remain, however. Some doctors are unfamiliar with the approach, and patients may be reluctant, especially those who haven’t clearly been told they have a terminal diagnosis. Now, some palliative care providers and researchers worry about the impact of President Donald Trump’s plans to repeal the Affordable Care Act and revamp Medicare — efforts that seem to be back in play. Chinchar said he gave up drinking and is trying to eat less of his favorite foods — steak sandwiches and fish and chips. He just turned 77, a milestone he credits partly to the pre-hospice program. 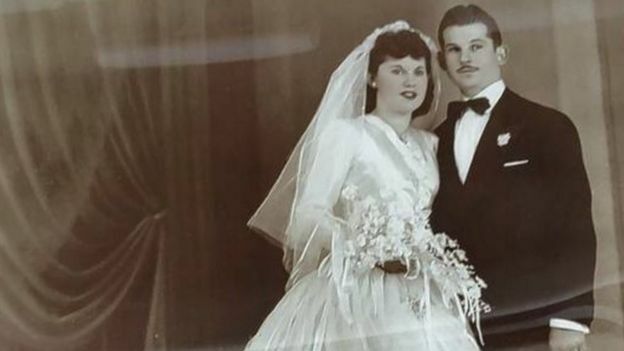 An Illinois couple married for 69 years have died within an hour of each other, family members tell US media. Isaac Vatkin, 91, was holding the hand of his wife Teresa, 89, as she succumbed to Alzheimer’s disease on Saturday, the Daily Herald reported. Isaac died 40 minutes later. Family members said they took comfort in knowing they were together at the end. “Their love for each other was so strong, they simply could not live without each other,” said daughter Clara Gesklin at the couple’s joint funeral. “They were always in love, literally to the end. To the last second,” said Rabbi Barry Schechter, who led the service at the Shalom Memorial Funeral Home in the Chicago suburb of Arlington Heights. Staff at the local Highland Park Hospital found Mr and Mrs Vatkin unresponsive and breathing shallowly on Saturday and chose to place their beds side by side. Family members positioned their hands so they touched. 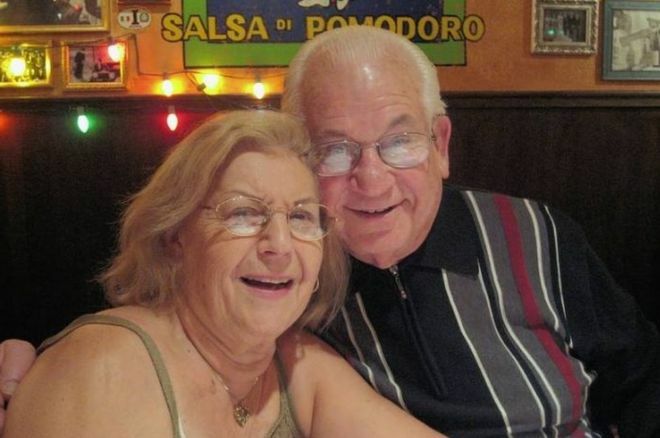 The couple raised three children in Skokie, Illinois, and had a close relationship with their grandchildren, family members said. Mr Vatkin had been a kosher meat distributor and Mrs Vatkin a homemaker and manicurist. South Vietnamese funerals often include street performers such as fire eaters and snake handlers. Here a brass band watches as a performance takes place. [G]iven the long and diverse history of human kind, it’s remarkable how alike customs can be in different parts of the planet. That title is an almost direct translation of a Vietnamese phrase, said Tuan Andrew Nguyen, whose artist collective called the Propeller Group made the 20 minute film. 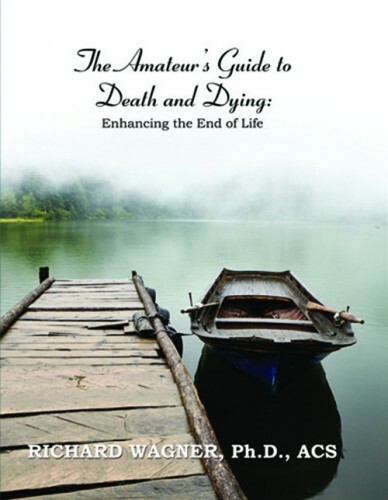 He said the title captures the essence of Vietnamese funeral practices. “These ceremonies have to be lively and have a lot of music,” he said. 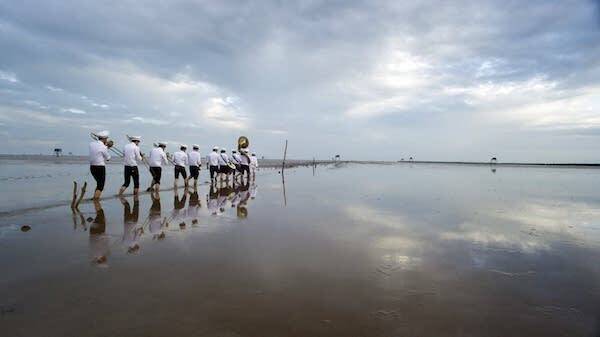 The Propeller Group film includes a well-known Vietnamese brass band which performs at funerals. For the film the group had them march in unusual places including mud flats. Music at those funerals often comes from brass bands. And Nguyen, who spent part of his childhood in the U.S., said they reminded him of New Orleans jazz funerals, and that got it got him thinking. “We found this really interesting kind of overlap between the two cultures that don’t speak to each other directly, yet they have like very similar ways of celebrating death,” Nguyen said. That is part of the thinking behind “The Living Need Light, the Dead need Music.” The film is beautiful, engaging, and sometimes disturbing. 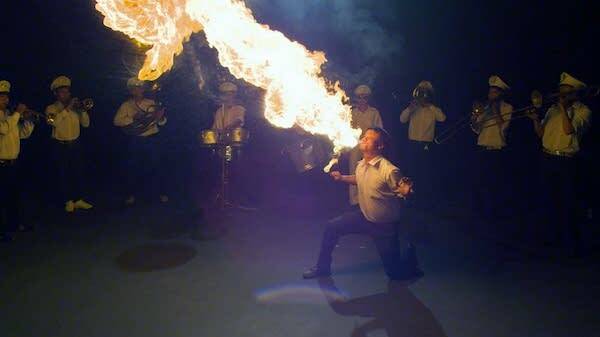 It features many of the performers hired for funerals in Vietnam: professional mourners, acrobats, martial artists, fire eaters, snake handlers. “For us, it’s about making a film that pays homage to the people that labor around the idea of death, “said Nguyen. A central character in the film is Sam, a transgender woman. Transgender people often perform at Vietnamese funerals, one of the few places where they are welcomed. While the Propeller Group is an artistic collective based in Ho Chi Minh City, Nguyen said, it initially described itself as an ad agency so it could get around government restrictions on film making. Propeller described its early work as music videos, and it’s a term Nguyen uses for this work too. “The film kind of sits on the edge of being documentary and fiction,” he said. Minneapolis Institute of Art Photography and New Media Curator Yasufumi Nakamori said that was attractive to him. He realized he could build a show around the film using Mia’s vast collections. “I invited them to collaborate with the museum, for them to select the objects and create the installations” Nakamori said. Starting with the collection’s database, Nakamori and the Propeller Group searched for objects that reflected the ideas and artifacts in the film. 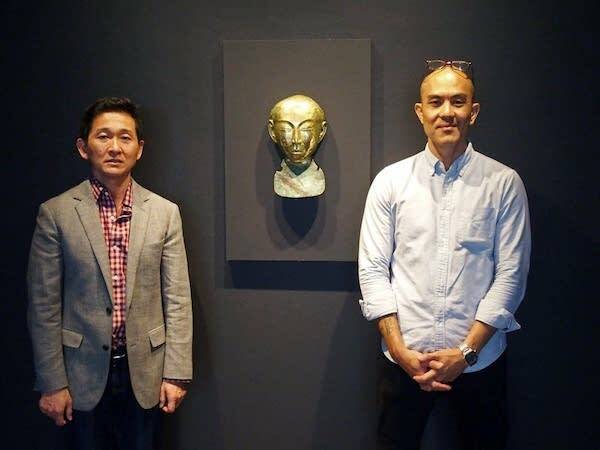 Minneapolis Institute of Art Curator of Photography and New Media Yasufumi Nakamori, left, and Propeller Group member Tuan Andrew Nguyen pose with a 10th century Chinese funerary mask. 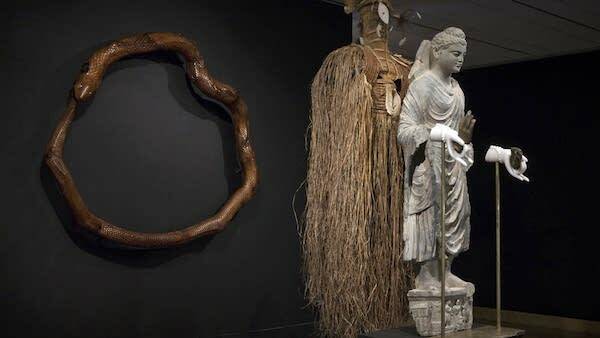 It’s at the entrance of the latest New Pictures exhibit at the Institute, which is based around a movie the Propeller Group made on Vietnamese funeral practices. The exhibit also includes artifacts from the museum’s collection and sculptures created by the Propeller Group. These include funerary masks of members of the Propeller Group, including Nguyen, created using 3D printers. They gathered pieces from the Asian, African, Native American and classical collections, including a 4,000-year-old Egyptian model boat. It’s believed to be the oldest object in the Institute’s holdings. As visitors enter the gallery, they see the film, playing continuously at the far end of the room. The objects stretch out towards the screen like a funeral cortege. Mixed in with them are sculptures the Propeller Group made to build commonalities with the movie. A sixth century Buddha figure is surrounded by a gilded ring of fire similar to a scene in the film. Also like in the film, there’s a huge ouroboros — or a ring formed by snakes, latching on to each other’s tails. For the New Pictures show, Nguyen and Nakamori searched the Institute archive for pieces from cultures around the world with similarities to the images in the Propeller Group film. The final effect of the show is somehow both alien and utterly familiar. Nakamori hopes visitors will recognizes the ideas if not the objects. One example hangs on the wall at the entrance to the show: a 1,000-year-old gilt bronze funerary mask of a young woman. After seeing it Nguyen and another Propeller Group member had their own masks made using 3D imaging. They hang on the wall nearby. In the UK, terminally ill patients are being transported from the hospice to other worlds. [V]irtual reality is not just for showing off the latest games and inventions. The technology has found a purpose in the healthcare industry as part of improving hospice and end-of-life care. When someone is terminally ill, it may be inevitable that the individual will, at some point, go to a hospice or treatment center for end-of-life care or, at the least, to a respite center to give home caregivers a break. However, in the UK under a creaking, strained, and underfunded National Health Service (NHS), sometimes these facilities may be suffering themselves from a lack of budget to make these stays as comfortable as they could otherwise be. In addition, and perhaps most importantly, taking someone away from their home at such a stage can be a difficult transition. To make this process a little less heartbreaking, local charity hospice Loros, which provides hospice and home care to roughly 2,500 terminally ill individuals across Leicester, Leicestershire, and Rutland, UK, has launched a new project which uses virtual reality to enhance end-of-life care. The idea is to help those who have limited mobility to experience life outside of treatment and give them the chance to go back to places in their past which hold fond memories, as well as experience new areas beyond the hospice and home. As shown in the video below, 70-year-old John, who is diagnosed with motor neuron disease (MND), is trying out the headset equipped with a video of Bradgate Park. This kind of technology can give patients a little more joy in their lives when perhaps it matters most. It’s a reminder that while many of us obsess over whether or not the latest mobile device will have a headphone jack or an impossibly thin shell or not, advances in technology can also provide far more important experiences. 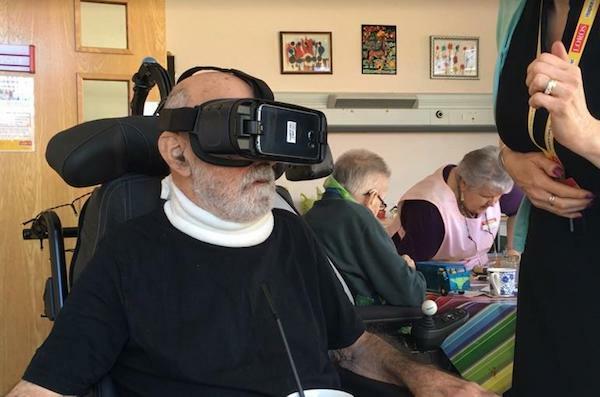 Loros is currently working with a VR company to produce more films and hopes to commission new films that other hospice providers will be able to use in their own virtual reality services. There were about 150 people at my father’s memorial service. A few people managed to mix in another platitude like, “He’s in a better place now” or, “At least his suffering is over,” but it all started to sound like a broken record pretty quickly; one that I had heard many times before, seen played out in movies and even unknowingly participated in myself. 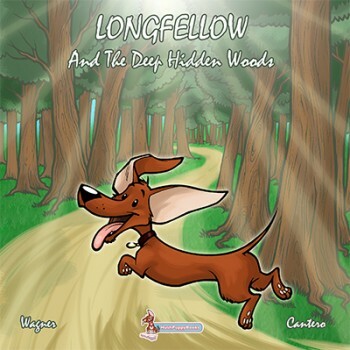 Now it was being played for me at one of the most painful moments of my life, and the hollowness of that experience would literally change my course forever. Why do so many of us struggle with what to say to someone who is grieving? 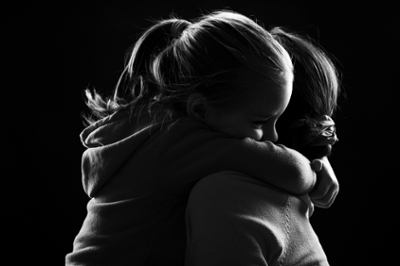 Grieving Needs More than Clichés. One problem is simply the overwhelming use of this one phrase, while simultaneously reserving it almost exclusively for the family. It seems as the close friends aren’t really grieving at all, while family members get the idea of loss hammered into them over and over. Saying, “I’m sorry for your loss” is a bit like the cashier saying, “Have a nice day,” at the convenience store. It betrays a lack of original thought and is so pervasive it has become irritating for many. When responses are this programmed, how sincere is the sentiment? As more people start to become irritated by it, choosing this particular phrase because it feels “safe” isn’t really that safe anymore. The problem is that it’s linguistically incorrect. The verb “to lose” is active, something we do. The reality of grief is that someone else died. You didn’t lose them in the same way you would lose your car keys or your wallet, and depending on your religious convictions you may not feel like you lost them at all. That was the first time I was exposed to the idea that it’s possible to live in the presence of the dead, not as frightening ghosts, but as honored members of the clan. These days I’ve become accustomed to drawing comfort from the idea that I’m living in the presence of departed loved ones. Actually, speaking to them in quiet moments when I’m alone is one of several key components—like meditation, being in nature or remembering special occasions—I use to process my grief whenever it shows up. Whether one wishes to think about that in terms of psychology or in terms of the spiritual language, it seems completely irrelevant. All I know is that I find it helpful. It’s the Wrong Mental Programming. Experts in the field of grief care (Stephen Jenkinson, for example) are starting to recommend using the language of suffering, healing, and overcoming challenges instead. 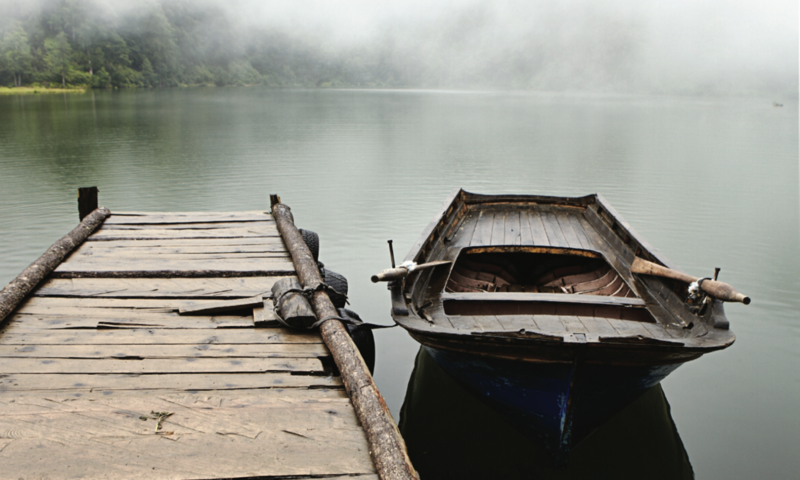 The language of loss refutes the notion that there might be an upside to grief, a spiritual deepening that can result from being exposed to something that’s an inevitable consequence of being born and choosing to love each other. By shifting to the language of suffering, healing, and overcoming challenges instead, death and grieving can once again become the redemptive processes I’ve come to believe they were always meant to be. How different those words felt! I immediately knew the stranger sitting next to me on a park bench somehow understood something that had been missed by all the close friends and family who had been sorry for my loss, but not present with my suffering. Firstly, she knew I was suffering, and her use of the word “sorry” came across as authentic compassion rather than pity. Second, there was no distancing or avoidance in the way she said it. She knew what I needed most: validation of my grief and someone willing to listen, even if that meant listening through some tears. Best of all there was no judgment. 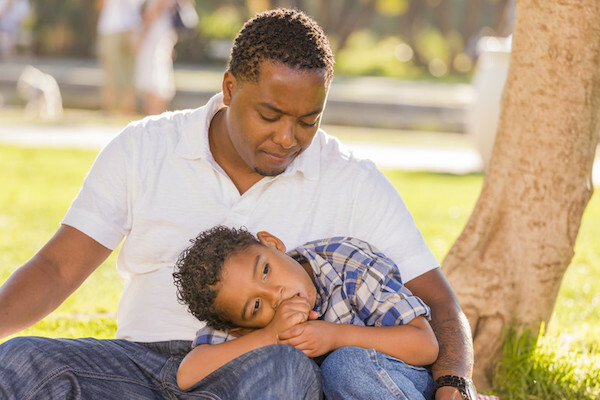 For those wanting to improve their grief communication by eliminating clichés with more accurate, helpful, and authentic responses, but still aren’t sure what to say, here are a few other choices in no particular order. These are just a few of the many options available, and they can be combined in various ways to make them both personal and appropriate. 1. I’m sorry you’re suffering right now, but I’m here with you and willing to help any way I can. Is there anything you need right now? 2. I’m sorry for whatever challenges might lie ahead for you, but I’m here and willing to help. Would it be okay if I call next week just to check in with you? 3. Please accept my deepest condolences. I can’t imagine what you must be going through right now, but I know enough about grief to know that it can be very challenging. Don’t hesitate to call me if there’s anything I can do to help. 4. I’m so sorry to hear about _____. I’m sure you’re going to miss him/her terribly. How are you holding up? 5. I know there’s nothing I can say right now to make things better, but I also know that having someone to talk to at times like this is really important, so don’t hesitate to call me whenever you need to. Follow any of those with what you loved most about the deceased or tell a story about a favorite memory of them, and I think most people will be pleased with the deep level of connection that’s instantly created. I’m absolutely certain the bereft will feel less isolated and better supported. One reason is that the phrases above easily open into longer conversations, while “I’m sorry for your loss” tends to shut them down. In some cases, it’s even appropriate to simply remain silent and offer them a deeply heartfelt hug instead. Most important of all is just being willing to listen and be present.